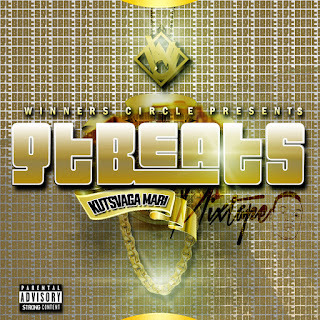 In case you missed it Winners' Circle head producer gTbeats has finally dropped his Kutsvaga Mari mixtape which is a compilation of his tracks and tracked that he featured on. 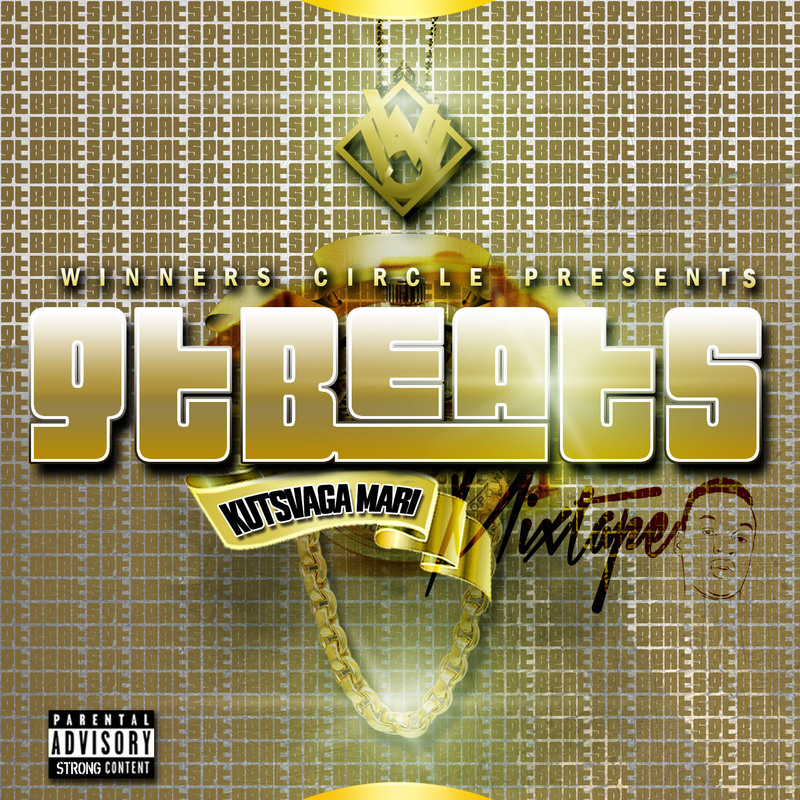 In case you missed it Winners' Circle head producer gTbeats has finally dropped his Kutsvaga Mari (Searching For Money) mixtape which is a compilation of his tracks and tracked that he featured on. 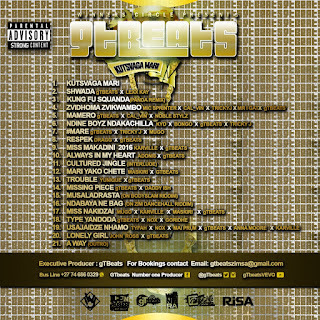 Familiar tracks on the mixtape include Shwada, Kung Fu Squanda (his take on Desiigner's Panda), Zvidhoma Zvikwambo, Ndine Boyz Ndakachiller, Mamero and Mare. 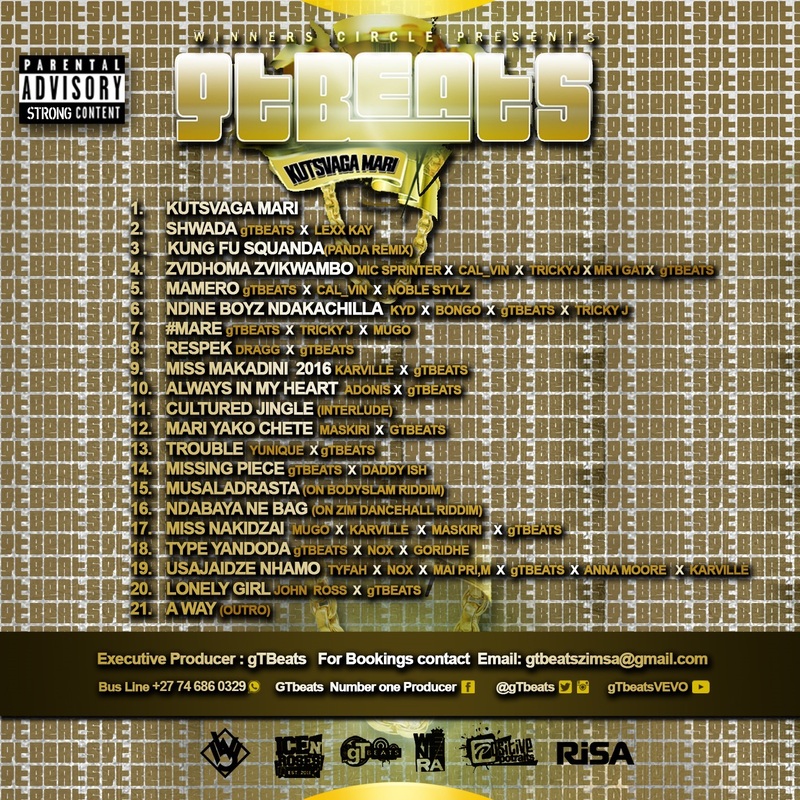 As you may notice from the tracklist there's a multitude of features here, with the beats ranging from trap to even Zim Dancehall. The amount of content here will take one a while to fully digest but it is worth the effort. Throughout the project we get a peek into gT's life as a Zimbabwean in a foreign land, life there and his interactions with other Zimbos based there. A chunk of the tracks are about money, as the mixtape title suggests, but it also touches on love, hustling and bettering our society. Overally this project does a good job of showing gT's versatile production skills. This is a mixtape which could've easily been an album.